ACL (anterior cruciate ligament) injuries are the most common types of orthopedic knee injuries. The ACL is one of four significant ligaments in the knee joint that helps provide stability in the joint and helps facilitate the necessary coordination for movement. Therefore, damaging the ACL can easily reduce functional movement and interfere with one’s ability to participate in daily activities. Each year, orthopedic surgeons treat 150,000 to 200,000 injured anterior cruciate ligaments, with most injuries occurring during physical activity and sports. The ACL is located at the bottom of the thigh and attaches at the top of the shin. This tough, but elastic ligament is responsible for keeping the shin bone (tibia) from sliding in and out of the thigh bone (femur) and helps provide support for activities like twisting, turning, and jumping. However, since the ACL is made of elastic tissue, it can tear or rupture if overworked or over-stressed. The most common ACL injuries occur in one of two ways: contact and non-contact. A contact ACL injury occurs when there is direct trauma to the ligament from an event like a hard fall, car accident, or a football tackle. A non-contact ACL injury can happen when playing a sport or even during day-to-day activities. For example, if you rotate your body and twist while your foot is still planted on the ground, it can result in an ACL tear. If the damage from a ligament tear or rupture is extensive, it can require an arthroscopic reconstruction procedure to help restore function and mobility. If you experience any of these symptoms, it’s important to seek an evaluation with an orthopedic surgeon to help diagnose your knee injury and the best course of treatment. While there isn’t just one single tip that can prevent an ACL injury, there are some great lifestyle tools and changes that can be used for injury prevention. As you prepare to exercise or participate in any physical activity, it’s important to warm up fully. It is recommended to warm-up approximately 10–15 minutes before exercising or participating in sports by doing a series of stretches and light exercises that will increase the blood circulation and gently move the knee before more strenuous activity. Warming up also increases the presence of synovial fluid, which helps your knee joints function smoothly. Adding specific strength training and cross-training exercises can help improve the health of your knee. Strength training with exercises like leg presses, squats, and lunges can help improve stability in the knee. Cross-training with a cardiovascular component is also beneficial and can be performed using a stair-climber, stationary bike, or elliptical trainer. Lastly, adding training drills that use plyometric exercises like jumping or lunges can help improve neuromuscular conditioning and ultimately reduce the risk of an ACL injury. If you participate in a specific sport or fitness activity, you can help prevent an ACL injury or tear by preparing with adequate training. For example, before participating in basketball, tennis or soccer, plan for four weeks of endurance training prior to the beginning of the season to help with gaining the strength necessary to protect your knees. Maintaining a healthy weight can go a long way toward improving your overall health and can help prevent placing too much weight and pressure on your knees. Excess weight can also negatively impact balance and coordination which can result in knee injuries. Adopting healthy habits to protect the knees is paramount for avoiding an ACL injury. Once a person has suffered a knee injury, there can be life-long complications or problems. ACL injuries can lead to early onset osteoarthritis, pain, and the inability to return to pre-injury activity levels. However, if you think you have suffered an ACL injury, seek an evaluation with an orthopedic surgeon to help you determine the best course of action, which may involve minimally invasive regenerative medicine techniques, physical therapy, and lifestyle modifications or even surgery. In cases of severe damage, arthroscopic knee surgery may be recommended in order to reconstruct the anterior cruciate ligament. Arthroscopic surgery is a great option for treating ACL injuries because the procedure is minimally invasive compared to traditional open surgery. 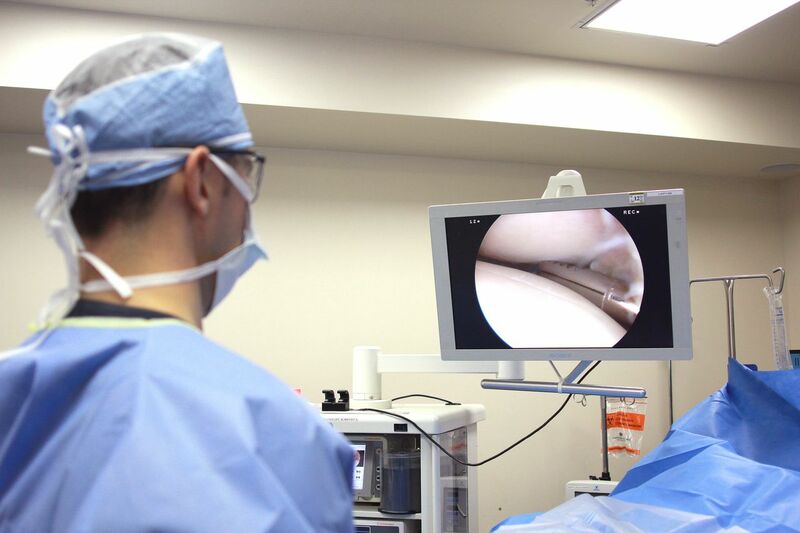 Arthroscopic surgery involves only two to three small incisions through which small surgical tools and an instrument with a light and camera are inserted, allowing orthopedic surgeons, such as Dr. Meier, to effectively treat and reconstruct the damaged ligament without interfering with the surrounding tissues and structures of the knee. Learn more about anterior cruciate ligament tear treatment options at WebMD.com. Accidents can happen. Beverly Hills orthopedic surgeon and regenerative medicine expert Steven W. Meier, M.D. 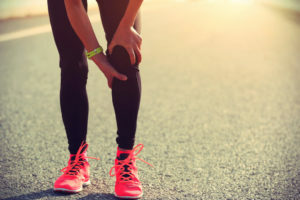 and his team at Meier Orthopedic Sports Medicine (MOSM) offer the latest in arthroscopic surgical techniques to help return you to full function after an ACL injury. Contact Meier Orthopedic Sports Medicine at (310) 853-1029 to schedule a consultation today.